Your kids may not know this, but waaayyy back in the day…before iPads, Netflix, and YouTube, families used to gather together at night to talk and play games. Family game night…what a crazy idea, right? Actually, it’s a great idea! 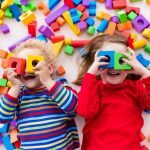 Researchers are now finding that there are some serious childhood development benefits your kids can get from game playing. 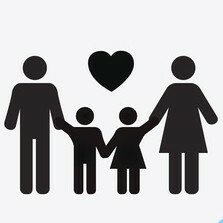 Plus it’s a great way to bond as a family and have a little fun! 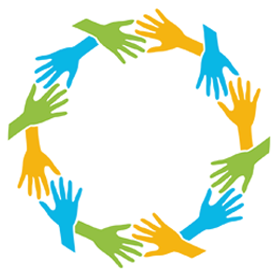 Games help kids solve problems. Family game night gets everyone OFF screen time. Games can lead to better grades. Family game night builds connection. Are you ready to play? Yes! So are we. 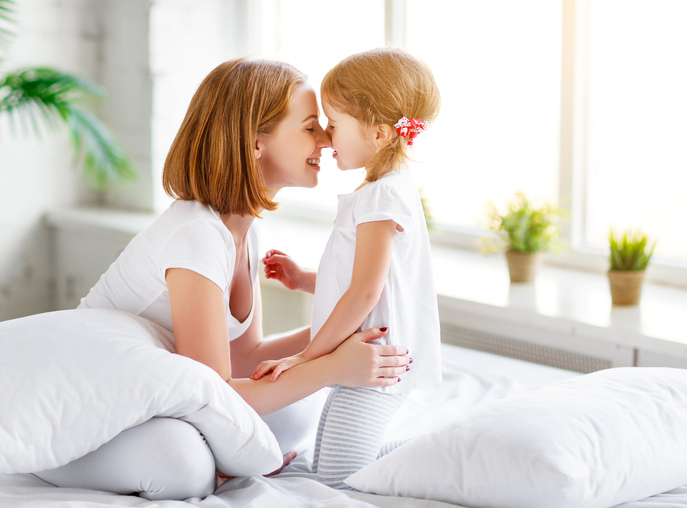 If you want to truly rock your next family game night, then you’re going to need to have some fun family games on hand. Check out our list of favorite games for family game night! Pick up a few of these gems and let the fun begin. 1. 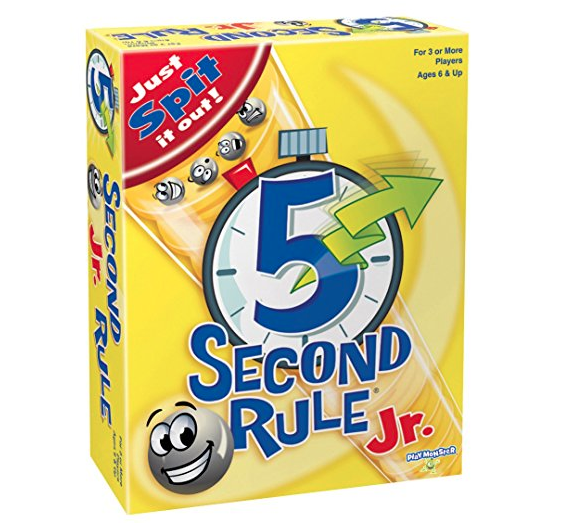 5 Second Rule Jr.
We love the original game for grown-up game night, so imagine our DELIGHT when we realized there’s a 5 Second Junior version too! You read a card and have to give an answer, but you’ve only got 5 seconds to do it. Some really crazy and funny answers are sure to slip out! Can you name three flavors of ice cream in 5 seconds? What about three kinds of dogs? Go! 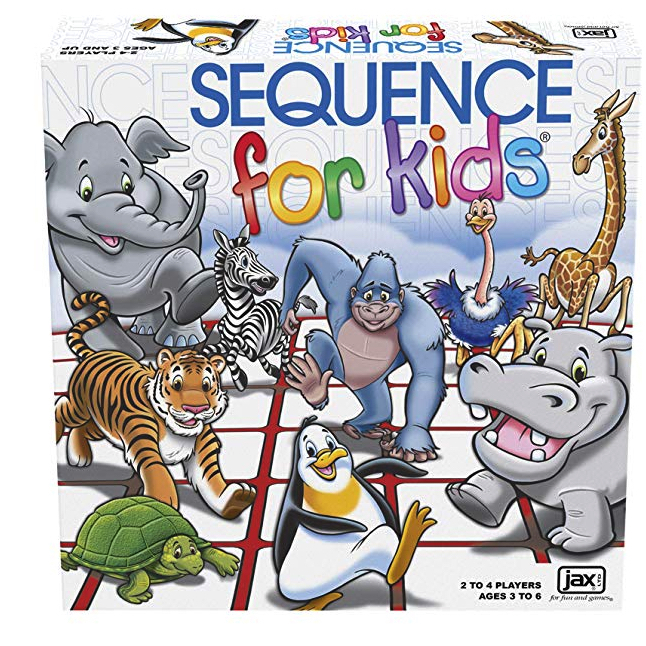 Sequence For Kids is another great adult game redesigned for the younger set. 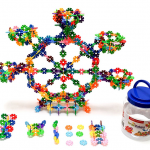 Even if your kids can’t read yet, they’ll enjoy this strategy-building game. And be developing problem solving skills in the process. Play a card from your hand, place your chip on a corresponding character on the board…When you have 4 in a row, it’s a SEQUENCE and you win! Use a UNICORN card to place your chip anywhere or a dragon card to remove your opponent’s chip. Kids pick up the rules pretty quickly and it’s a fast moving game. Fun for everyone! 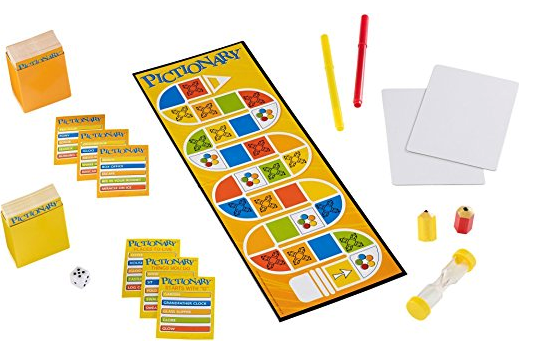 The drawing game Pictionary is a classic for a reason, it’s so fun! We particularly like this set because it comes with two levels of clues, Junior and Adult, so everyone can get in on the action. It also includes erasable markers and boards so you aren’t wasting paper and can draw again and again. And so what if you’re not an artist? Honestly, the game is way more fun when you can’t tell if someone is making a banana or a gun. We also love how interactive this game is. 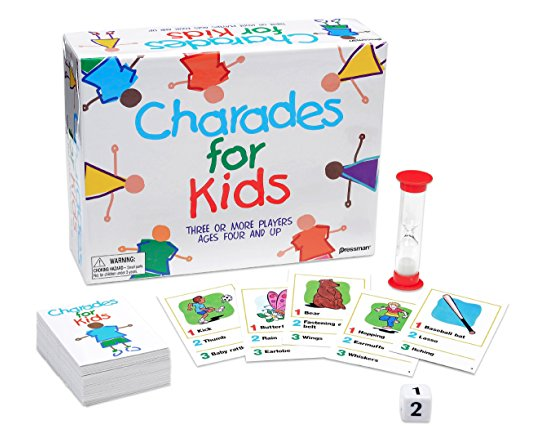 Charades is another classic game that’s been re-designed just for kids. Who doesn’t love charades?! Younger players can use the colorful picture cards included, so reading isn’t required to have fun. And there are simple word/phrase cards for older kids too. Everyone can get in on the fun. 5. HedBanz And HeadBanz Jr.
Headbanz is a ridiculously goofy game that is a big hit at our house. Everyone puts a card on their head and has to ask yes or no questions to figure out who they are. Guess first and win the round! 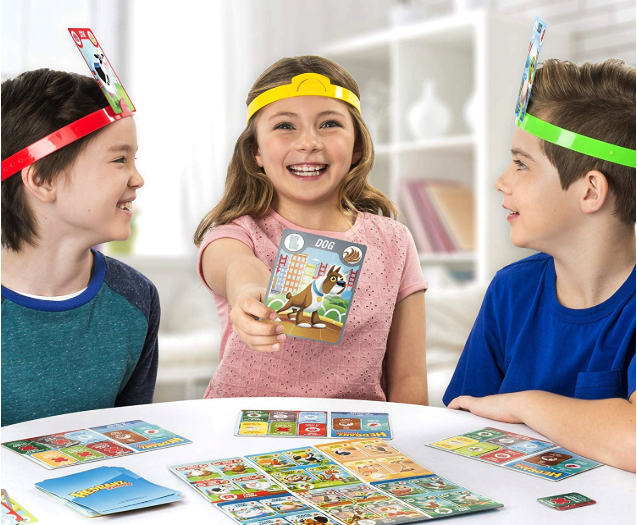 It’s pretty fun to have the whole family running around with crazy cards on their headbands, lol. 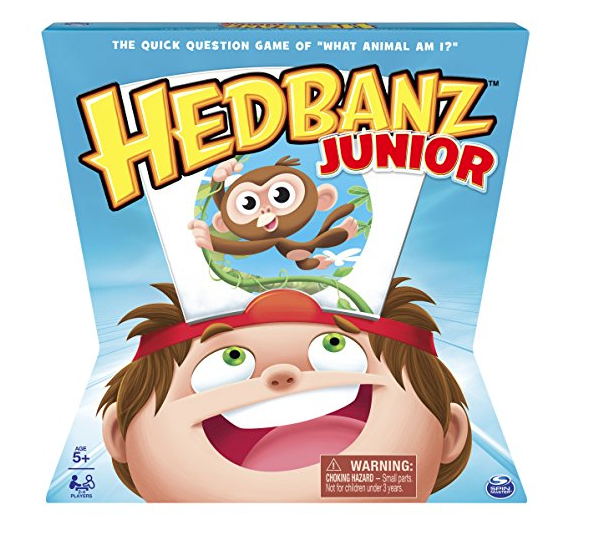 There’s also a simpler, Headbanz Junior version of the game available that has a simple animal theme which narrows the choices and makes it easier for younger players. Love, love, love this game! It’s got literally thousands of five star ratings, and for good reason. This one is for slightly older kids…who may not be so into family game night (at first). 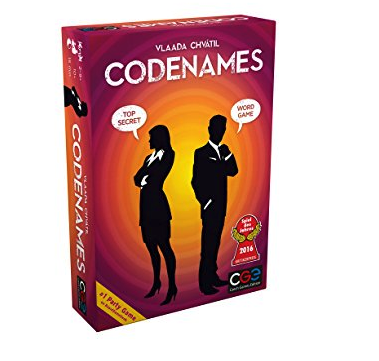 But that’s the magic of Codenames, once they start playing they’ll be totally onboard! It’s a face-paced team game where you try to guess the identity of “secret agents” with help from your team’s spymaster. It works best with four or more players. The word play will keep everyone challenged and entertained, even teens. Since it moves quickly (each game takes 15 minutes or so) you can switch up teams and demand a rematch. So fun! 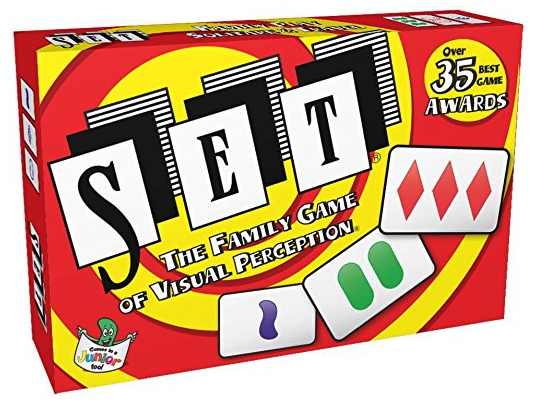 SET The Family Game Of Visual Perception seems so simple in concept, but it’s really a great game. 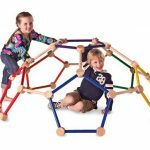 Our kiddos love playing this. It’s fast moving, and you can play both solo (for time) or with a lot of people. You race to get as many SETs as you can, the player with the most wins! 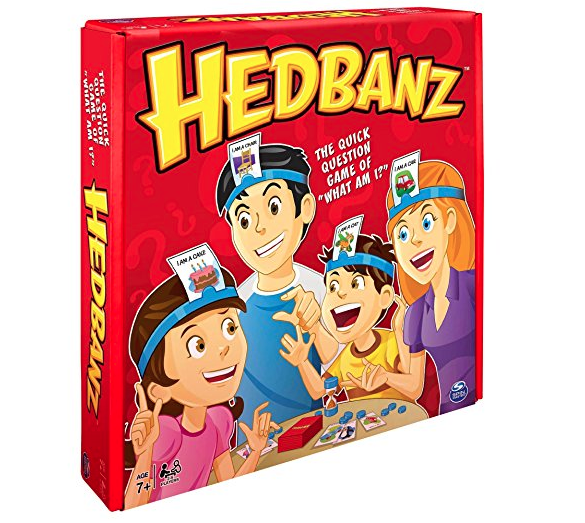 This game helps develop mental agility, it’s a real winner for family game night. 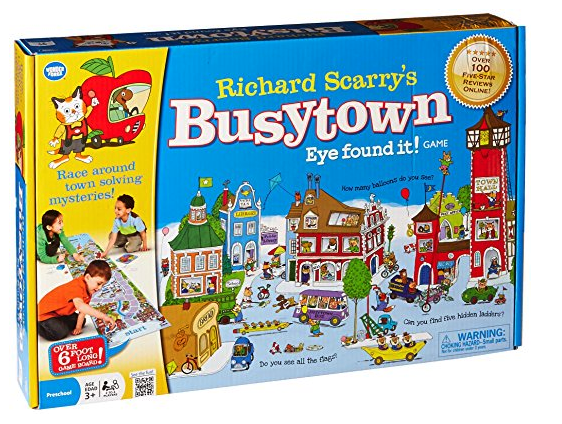 Busytown Eye Found It is toddler favorite! This game is a great choice for younger players. 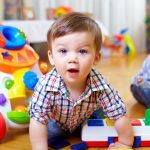 For starters, the game moves quickly, with total play time at about 15 to 20 minutes, which is perfect for this age group and busy parents. There’s also a lot of things happening on the board: You’re moving your piece, solving a mystery, the pigs eat your food…the game doesn’t get boring. And to win, you have to work together so little ones don’t “lose”, it’s more about teamwork and fun. It’s one of the best board games for kids we’ve seen. Box Of Challenge is the ultimate family game night delivered right to your door. Basically this is a monthly subscription box that sends you fun challenges to solve, in 60 minutes or less. It’s kind of like the “Minute to Win It” game show that used to be on television, but with longer challenges. You never know exactly what you’re going to get! It could be puzzles, brain teasers, or some other problem to solve. 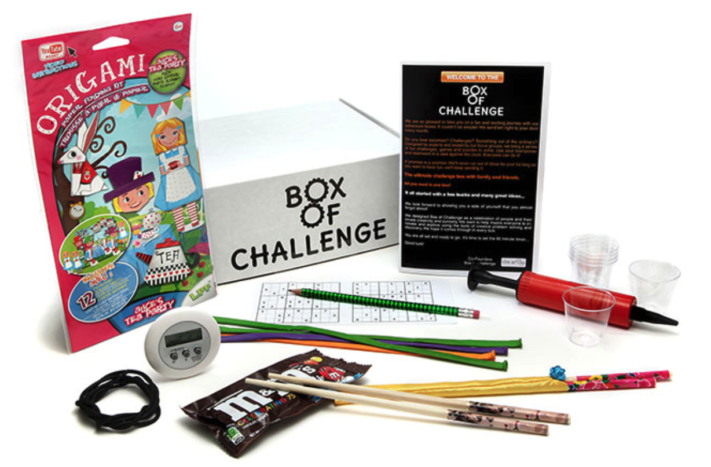 The Box of Challenge encourages teamwork, communication and trying new things. Which makes for an excellent family game night activity! 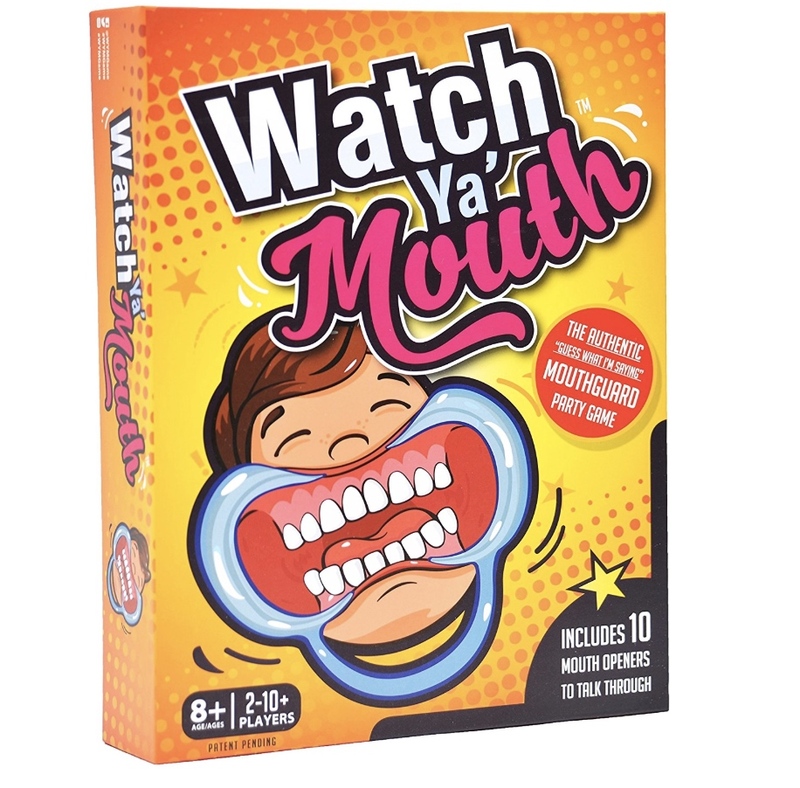 Watch Ya’ Mouth is a hilarious card and mouthpiece game that originated in viral videos. You basically attempt to speak and interpret phrases while wearing a ridiculous cheek retractor. That is if you can stop laugh long enough to play! This set is made especially for family game night, so all the phrases on the cards are kid friendly. If you’re worried about the mouthpieces, know that they are food grade quality and dishwasher safe, so you can be assured they are germ-free time you play. It makes for a fun night of crazy silly game playing! 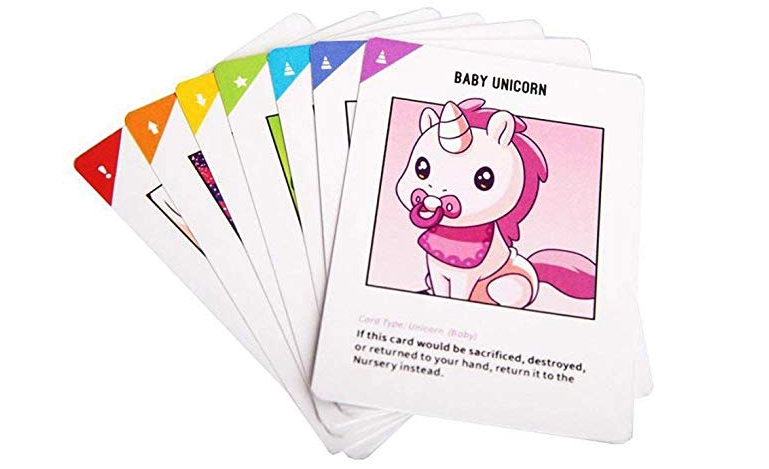 Unstable Unicorns is a strategic card game for 2-8 players. The first person to build an Army of 7 Unicorns wins. This game was one of Kickstarter’s Top 50 Most Backed Projects of all time! The real fun happens as you try to destroy your friends’ armies while keeping your own intact … it makes for very unpredictable and fun play! SHARE these fun ideas for family game night with friends on Facebook and Pinterest by clicking the buttons below.